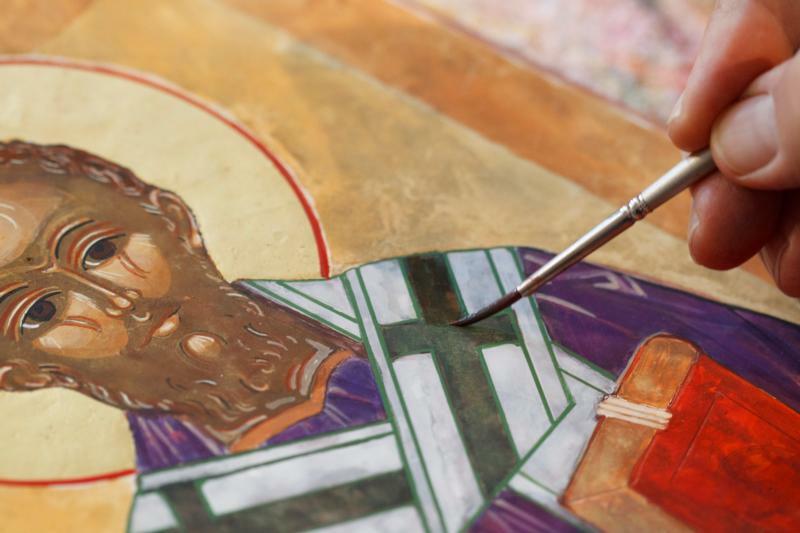 Augustinian Father Richard G. Cannuli paints an icon of St. Augustine, one of the Fathers of the Church, during a demonstration about how to create an icon in Rome April 12, 2012. The Fathers of the Church is a term applied to the great Christian writers of the centuries following the apostolic age. (CNS photo/Paul Haring) See BIBLE Oct. 6, 2016. The “Fathers of the Church” is a term applied to the great Christian writers of the centuries following the apostolic age. The fathers may not be well-known, but, thanks to them, the church survived in an age of persecution and established the basic beliefs of Christians. One of the greatest ways to grow in the spiritual life and be imbued with the Catholic spirit is to read the writings of the early Church Fathers. Modern-day Catholics may be familiar with St. Augustine’s writings like “Confessions” and “City of God,” but lesser known is the story of his catechesis and baptism by St. Ambrose. NEXT: Was John the Baptist free from original sin?